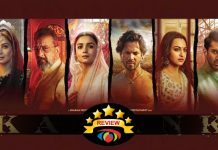 Home » Reviews » Mohalla Assi Movie Review: Adult Review For An Adult Film Ft. Overused Abuses Like Bose DK! Mohalla Assi has nothing interesting for anyone. What’s Good: You’ll get to learn various creative accents to say the word Bho****ke & how to smooch the life out your partner who’s cheating on you! What’s Bad: Nothing’s bad! Every scene has a subtext hidden under it, a subtext of why you should never watch this film & those who don’t get this are Bose DK! Loo Break: Why not? The film was made while having one. Watch or Not? : If Sunny Deol’s Dharmnath Pandey meets Govind from Damini he’ll say, “Taareekh pe taareekh, taareekh pe taareekh, taareekh pe taareekh milti rahi, lekin insaaf nahi mila bho*****ke!” (Sorry, had to put this. Regarding watch or not – don’t)! 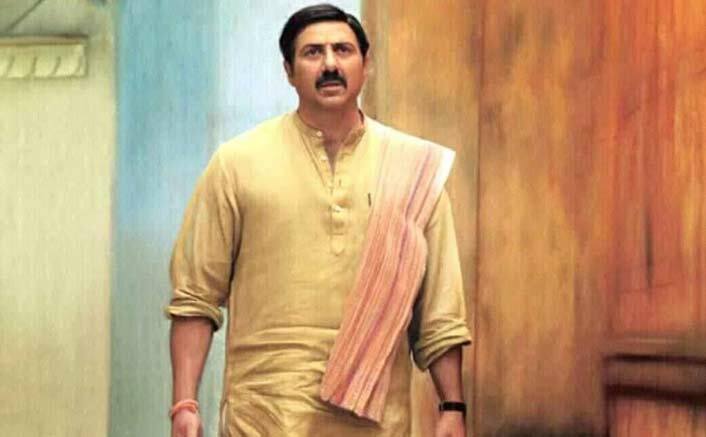 The story revolves around many little stories revolving around one man Dharmnath Pandey (Sunny Deol) who as his name is ‘dharam ka rakhwala’ – a priest residing on the Assi Ghat in the holy city of Varanasi. Being a Brahman, he hates people who eat non-veg in his area and keeps looking for if there are any bones scattered around. He also gets annoyed if his wife ‘correctly’ advises him regarding religious things, “Dharam ke maamle mein toh tum rehne hi do.” Being the kind of orthodox he is, there are times when people come to him asking for favours which are against his principles. But the circle of life brings him to a situation where he has to compromise. Bringing the issues of Ram Mandir, reservation into the limelight, the story forwards with ‘Chai-stall’ conversations. The story is based on the book ‘Kashi Ka Assi’ by Kashinath Singh and I can totally see how it must be interesting on paper. There are moments which will attract your attention but on the whole, things get just uninteresting with a plethora of useless abuses. I can totally understand how people in the given area might be talking in a certain way, but you don’t have to overdo something to an extent that it gets annoying. There are positives in the film but the negatives just burden them to evoke boredom. The leaked version of the film was 160 minutes & it got cut to 120 minutes and the abruption is clearly visible. Anyway many scenes are just for the sake of it, those too get abruptly cut taking us to another worthless scene. This just pains the process of going through the movie until the end. Also, the story is narrated in the span of 10 years and everyone (apart from Dharmnath’s kids) looks the same (the concept of aging just doesn’t exist). Sunny Deol is not ‘the’ Sunny Deol in the film. His lazy portrayal of Dharmnath throughout pinches you do not connect with his character. He seems disinterested from frame one and it remains the same till the end. He has a monologue in which he gets a chance to do his high-pitched shout but this time it’s totally bogus. Sakshi Tanwar is good for her role but when the writing is bad even a ‘Firangi’ can’t save a film. She surely gets over-the-top at times but that’s just because of how poorly her character is sketched. Ravi Kishan is the silver lining of the film as he gets some decent lines and an entertaining character to portray. He totally justifies his role and adds his usual quirks to it. Saurabh Shukla, Mukesh Tiwari and a dozen other actors comprising the ‘chai gang’ are a mixed bag of talented performers depicting very ordinary roles. Dr. Chandraprakash Dwivedi is effective but even after a lot of efforts, you can’t cook a tasty dish if you get the ingredients wrong. Honest effort executed in the wrong direction. Vijay Kumar Arora’s cinematography screams out loud that it’s a dated film. Kashinath Singh’s dialogues involve too many Sanskrit shlokas (especially by Sunny Deol’s character) and that at times break the already broken connect. 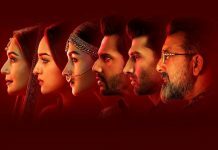 Amod Bhatt’s music is as forgettable as Thugs Of Hindostan’s climax. I don’t even remember if there was any song apart from the post credit’s one. Amod and Utpal Sharma’s background score is uninteresting too and doesn’t bring any notable difference to the scenes. All said and done, Mohalla Assi has nothing interesting for anyone. I know I am going to receive a humongous backlash from Sunny Paaji’s fans but this isn’t something we expect from someone like him. Another delayed film ‘Bhaiaji Superhit’ film next week – Bhai log, thodi gaaliyaan bachake rakhna. Mohalla Assi releases on 16 November, 2018. Share with us your experience of watching Mohalla Assi. I think now Deol Family start to produce films….i don’t understand why people make this typ of crap…..& sunny paazi ne Jo Av tk respect bnayi thi….vo es film k chkkr me gava di….at this age why sunny paazi used abusive language onscreen….why ?? why ? ?….kya deol family ab public pr apna gussa aur frustration nikal rhi hai….thanks for review admin 👍👍 I’m so angry 😠 fr Sunny Paazi’ film. Does Umesh Punwani or you have any sense of literature? 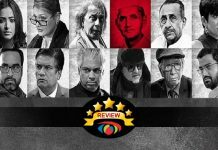 Omg literature…..hahaha…..u want to say sunny deol choose ‘the best script’….abusive language suits to some theatre actors not fr commercial actors sir….i think I have enough knowledge of literature and good sense of cinema…..sir here wr are talking about a film…not only literature. The role he is playing demands this kind of words as it is based on a popular novel and this way of speaking is quite popular amongst banarasi middle class people. I as a movie lover crazy man can not understand what we actually want to see until it had not released people were downloading the film in the black market and praising the characters. sunny as a depressed pandit did his best. sakshi Tanwar also tried to justify and even managed to. this is also to be acknowledged that it had been leaked 2 years ago thus buzz is low. Watch movie without criticizing eyes.